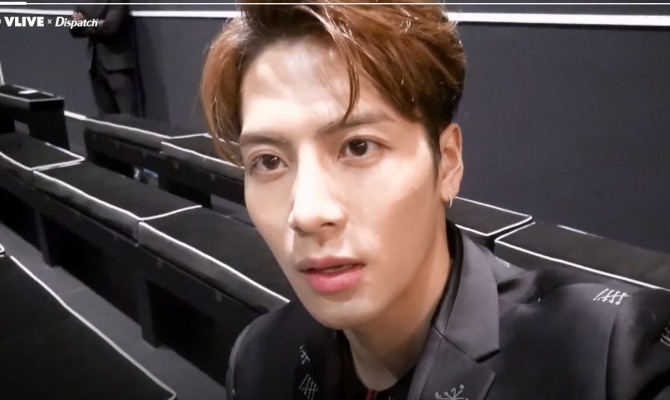 Jackson of GOT7 took to V Live after staging a surprise performance at the Fendi show during the Milan Fashion week. 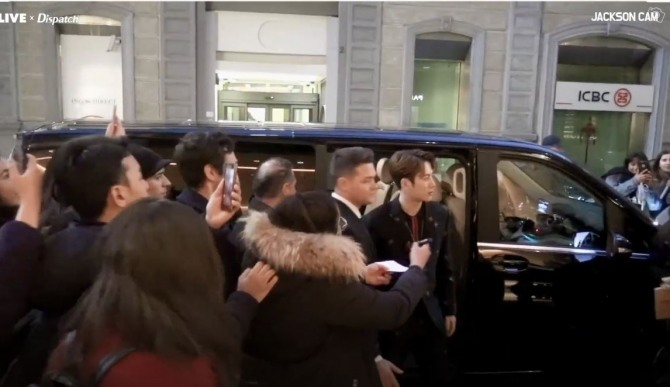 The video, which captured the GOT7 rapper’s time in the Italian city early in January, kicked off with Jackson greeting fans while getting ready for the show. “It’s my first time here at Fashion Week, and I’m very nervous,” he said. “And I’m having a meeting with Sylvia Fendi (Fendi’s creative director) so I’m waiting for that. If you ask me what the meeting is about, it’s a secret,” he added. The clip went on to feature Jackson getting in his car, during which he expressed how thankful and honored he was to have been invited to the show. “I’m on my way to another interview after the show. I had an amazing day. Thank you for all the love in Italy and in front of the show, I’m so blessed and I’m always thankful to all of the supporters, all my friends and my fans,” he said. The short video also featured a crowd of fans yelling out his name and cheering for him as he got off the car while being escorted by security guards. “Jackson Wang from China. 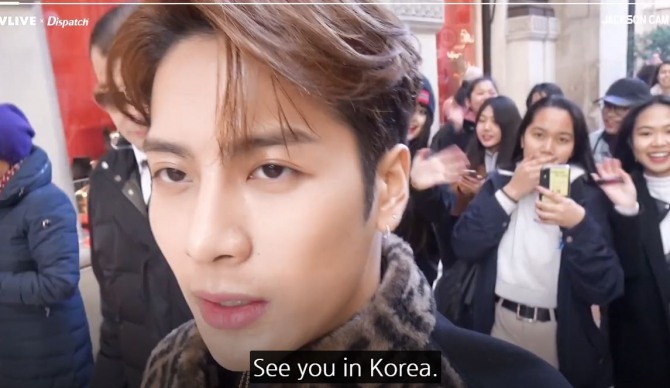 See you in Korea,” said Jackson at the end of the video.